Built in Java, DistributedLog is a high-perf, replicated log service, offering durability, replication and strong consistency as essentials for building reliable distributed systems. Redis, an in-memory, high performance ‘data structure server’, is a key piece of many apps now. 3.2 introduces a new ‘GEO’ API for indexing lat/long points, a BITFIELD command, and more. An introduction to the new HTTP/2 protocol and how it changes web performance best practices. No Time to Do Those Small but Critical Updates? 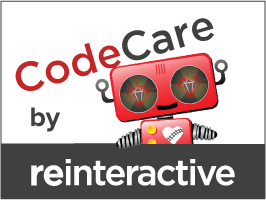 If you're struggling to find time, budget or resources to improve your Rails app, there is a fixed price solution for ongoing upgrades and improvements with CodeCare®. ImageMagick is a heavily used image manipulation library and some major vulnerabilities have been found in it. CloudFlare has a write up of the payloads being used to hack sites. Rack provides a simple developer-focused API that lets you easily build, deploy, scale and manage apps on private infrastructure. An interesting approach that means you still keep full control over your comments section, but keeps it off of your main site. A look at decoupling feature rollout from code deployment and the rise of user-centered deployments. FreeAgent is changing the way freelancers and micro-businesses manage their company finances. Help us build our data platform that provides our business with insight into the behaviour of our customers. DreamFactory auto-generates APIs from nearly any database. This tutorial explains how to set up a Node.js integration using the new features of v2.1.2. This is a great, cheap way to get playing with Linux Containers. Insights from an ex-Twitter infrastructure engineer and a look at linkerd, a proxy for cross-service communication. An academic paper about a Linux kernel module that allows real-time modification of congestion control params. Source here. Run dockerized apps and manage hardware like one giant, efficient computer.